this combination of the ultimate gentlemanly pleasures fits neatly in a breast pocket. 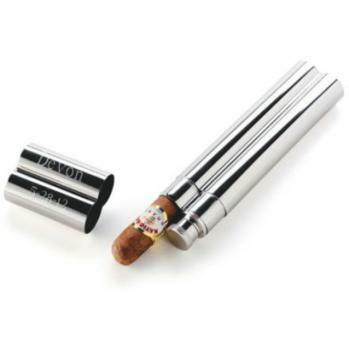 Holds one cigar and 1.5 ounces of your favorite libation. Personalized with two lines of up to 10 characters per line including spaces.